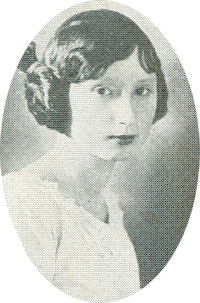 Obituary – Bartow, Mina Almeda « Perry High School Alumni Association, Inc.
All School Play ’22; Junior Play ’23; Commercial Club ’21; Forensia. ﻿Mina Bartow, 89, died at 12:20 a.m. Monday, Nov. 20, 1995, at Perry Green Valley Nursing home. Graveside rites are planned for 2 p.m. Friday at Grace Hill cemetery at Perry under direction of Brown Funeral home. Miss Bartow was born Dec. 24, 1905, at Perry. Her parents were Charles and Almeda Bartow. She had lived in the Perry community all her life. Local relatives include Mary Ingmire, Perry, a sister-in-law; and Iva Roth and Opal Yockey, both of Perry, nieces.